To coincide with the completion of the MiniPod range (consisting of MiniPod, CinePod and Bass Station), we planned to release a 28-page booklet in celebration of the story of the Pod and culture. It was a great opportunity to tell the story of the Blue Room from its beginnings, taking in its heritage and showcase the subsidiary companies such as Blue Room Released and MELT 2000. Visually it was a chance to take a look at the evolution of the Pod shape and to use the shoot to create a consistent portfolio of imagery of the entire range. It was planned to be part of a new marketing strategy, which included a new website and marketing collateral. We planned to keep it local using the studios of Michael Gardiner from Walter Gardiner. Michael had shot the B&W Nautilus previously. We spent a long time writing content and planning the imagery. The shoot was taken over three days and included a lot of unconventional lighting set ups. It was to be my last work for Blue Room, and unfortunately the book and series of images never made it published as the Blue Room closed its doors. All THE FUTURE SHAPE OF SOUND OUR MISSION 1991 • IN THE BEGINNING 1991 • THE PROPOSAL 1991-1992 • FROM 2D TO 3D 1992 • BIRTH OF BLUE ROOM 1993 • THE GREAT ESCAPE; BIRTH OF THE POD SOUND SYSTEM 1993 • BLUE ROOM JOINS BOWERS & WILKINS 1994 • WORKSHOP GOES ACTIVE 1994 • BLUE ROOM UNLEASHES 1994 • BIRTH OF THE MINIPOD 1995 • BLUE ROOM EXTENDS INTO EUROPE 1996 • BLUE ROOM HALTS PRODUCTION 1996 • THE LAUNCH OF BLUE ROOM RELEASED 1996-1998 • BLUE ROOM GOES GLOBAL 1998 • BLUE ROOM AMERICAS OPENS 1998 • WEAPONS OF MASS DISTRACTION 1999 • BLUE ROOM LOUDSPEAKERS RELAUNCHED 1999 • REUSABLE PACKAGING 2000 • DARK SIDE OF THE BASS 2001 • BIRTH OF THE CINEPOD 2002 • BIRTH OF THE MICROPOD 2003 • THE ART OF SOUND THE END? 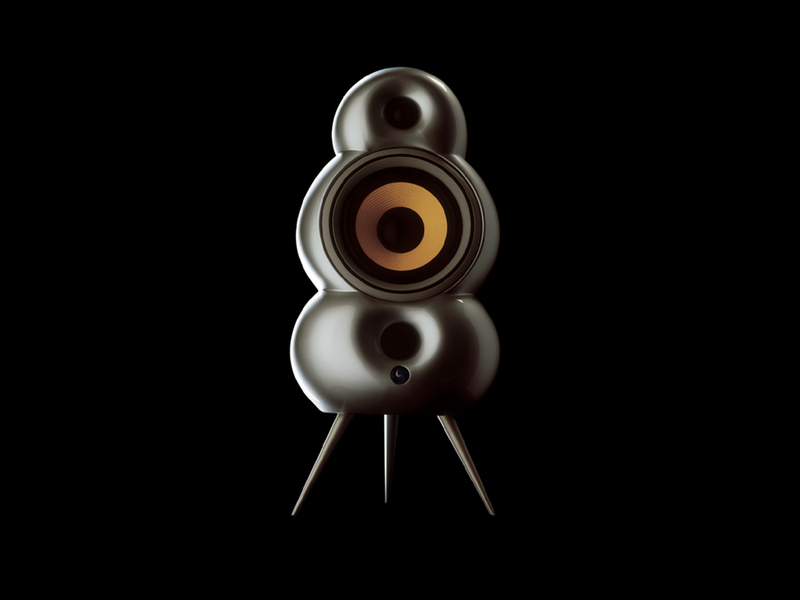 THE FUTURE SHAPE OF SOUND OUR MISSION 1991 • IN THE BEGINNING 1991 • THE PROPOSAL 1991-1992 • FROM 2D TO 3D 1992 • BIRTH OF BLUE ROOM 1993 • THE GREAT ESCAPE; BIRTH OF THE POD SOUND SYSTEM 1993 • BLUE ROOM JOINS BOWERS & WILKINS 1994 • WORKSHOP GOES ACTIVE 1994 • BLUE ROOM UNLEASHES 1994 • BIRTH OF THE MINIPOD 1995 • BLUE ROOM EXTENDS INTO EUROPE 1996 • BLUE ROOM HALTS PRODUCTION 1996 • THE LAUNCH OF BLUE ROOM RELEASED 1996-1998 • BLUE ROOM GOES GLOBAL 1998 • BLUE ROOM AMERICAS OPENS 1998 • WEAPONS OF MASS DISTRACTION 1999 • BLUE ROOM LOUDSPEAKERS RELAUNCHED 1999 • REUSABLE PACKAGING 2000 • DARK SIDE OF THE BASS 2001 • BIRTH OF THE CINEPOD 2002 • BIRTH OF THE MICROPOD 2003 • THE ART OF SOUND THE END? Simon Ghahary COPYRIGHT 2013-17 - Full website credits list here.